Notes: The line between Stoke Gifford Yard and Avonmouth was opened by the GWR on 9th May 1910. 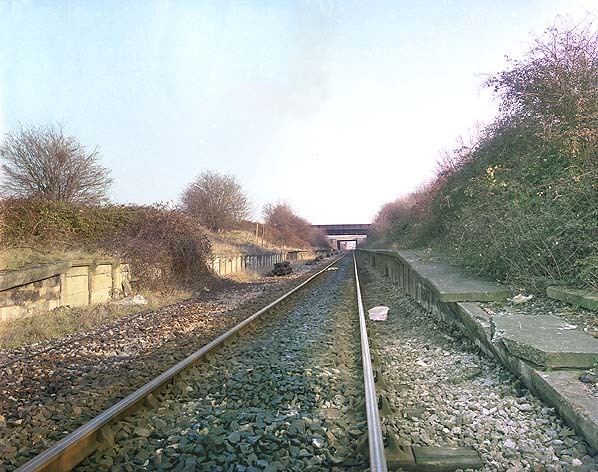 The connecting west to south curve between the line and Filton Station on the Bristol - South Wales line also opened on that date and indeed, 'Filton' was renamed 'Filton Junction' to coincide with the opening. It was primarily intended as a freight route, to improve access to the still-developing Avonmouth Docks as previously, the only access was on the route via Clifton Down tunnel (now used by Severn Beach branch trains) and at that time, that route was very congested. A passenger service was provided from the opening date, operating between Filton Junction and a new station at Avonmouth known as Avonmouth Docks (GW). This was Avonmouth's fourth station, albeit little more than a wooden platform situated at the end of Gloucester Road, close to the dock gates. 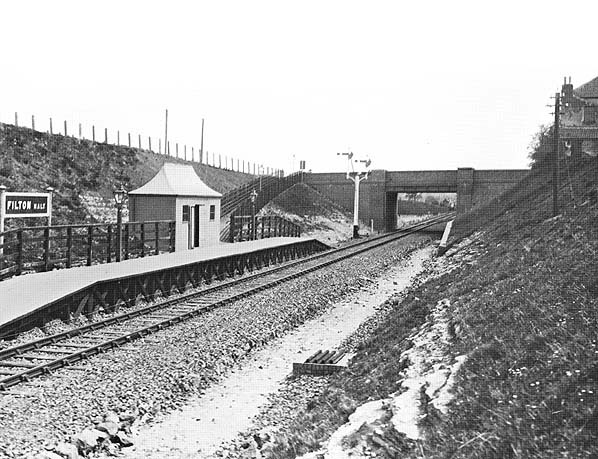 A second, more substantial station was provided at Henbury, approximately halfway along the line; and halts were also provided at Filton, Charlton and Hallen. Filton Halt, consisted of a single platform and was authorised on 2nd July 1909. The halt opened with the rest of the branch on 9th May 1910 and at the time of opening GWR Magazine also referred to the halt as Gloucester Road Halt. This service was however withdrawn less than five years later on 22nd March 1915, as a wartime economy (although Henbury continued to be served by an unadvertised workmen's service). A new, circular passenger service operating out of Bristol Temple Meads was introduced on 3rd April 1922, also serving Lawrence Hill, Stapleton Road, Ashley Hill, Horfield and the stations on the Clifton Down line. Avonmouth Docks (GW) station, Hallen, Charlton and Filton halts, did not reopen however, and only Filton Junction and Henbury stations were initially served by the new service, which used Avonmouth Dock station (on the Clifton Down line) instead. However, a new factory platform opened at Chittening during 1917 and was served until 1923 and another - North Filton Platform (which was built on approximately the same site as the former Filton Halt opened on 12th July 1926. The passenger service was withdrawn completely from Ashley Hill, Horfield, Henbury and Chittening on 23rd November 1964. Other stations continued to offer goods facilities until 5th July 1965, when the west to north curve at Filton also closed. North Filton Platform also closed to the public on 23rd November 1964, but continued to be used by a Monday to Friday (BHX) unadvertised workers service until 5th November 1966. At some time after that date a timetabled workers service ran between Parson Street, Bedminster, Bristol Temple Meads, Lawrence Hill, Stapleton Road and Filton (Junction). The service continued unadvertised between Filton & North Filton Platform. The line was singled sometime after the withdrawal of local goods services in 1965, but remained as the principle freight route to much reduced dock facilities at Avonmouth, with a crossing loop at Henbury and eventually, bi-directional signaling. It was used only very occasionally by passenger specials. 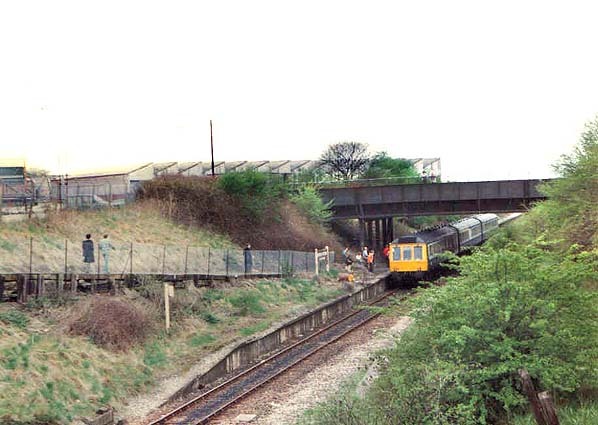 By the mid 1990's, business at Avonmouth Docks had revived to the extent that a decision was taken to redouble much of the Henbury line, as the single line no longer had sufficient capacity to meet demand. From time to time, ideas to restore a passenger service are mooted, but as yet, none have materialised.